Whether you’re going from four wheels to two, or are a lifelong motorcycle rider, there’s nothing more important than staying safe while riding. But accidents happen, and when they do it’s important to know that your pride and joy, and of course, yourself, are covered in the event of any damage. It’d be easy to dismiss motorbike insurance as just car insurance with fewer wheels, but there are some subtle differences. So in this post we’re looking at the mostly commonly asked questions around this type of insurance. In 2017, the average cost for motorbike insurance was about £200. However, as you might expect, the amount you'll pay can vary very widely. An experienced driver can be insured on a moped for as little as £80, while a younger driver on a more powerful bike could pay around £400-£500 annually. While experience pays, in general the higher cc, or engine power of the bike, the higher the premium, though as is always the case with insurance it pays to shop around. So whether you’re looking at Bennetts, Bikesure, or Bell Insurance, always shop around, and check out motorcycle insurance reviews written by riders like yourself on Smart Money People first! Insuring your bike doesn’t just come down to cost, and our reviewers mention things like customer service, ease of making a claim, and everything else to help you make up your mind. Another factor which affects cost is the group system. Somewhat similar to the insurance group system for cars, every motorbike belongs in a group rated 1-20, where the higher the group number, the more expensive the motorbike is to insure. Sports bikes tend to be in the highest groups, though there can be a lot of variance for things like trim level, so always be sure to check the insurance group when purchasing any bike as this will affect your premium. What motorbike insurance do I need? As with motor insurance, motorcycle cover is available in third-party, third-party fire and theft (TPFT), and comprehensive flavours. On UK roads, all riders must have at minimum third-party insurance as a legal requirement, and comprehensive cover is a popular, though optional feature. While third-party insurance only covers damage to other people and vehicles as the result of an accident which was your fault, comprehensive cover will also cover any damage to your bike. It might not prove cost effective for a learner rider to comprehensively insure a cheap moped, but for a sports bike or a large grand tourer worth thousands of pounds, this should make a lot more financial sense. It’s ultimately a decision on how much value you place on your motorcycle, and whether you could easily cover the cost of a replacement. Also bear in mind the cost of any excesses on any motorbike insurance policy, which will be payable in the event of a claim, and can sometimes be almost as much as the cost of the policy itself. Despite the fact that mopeds can be ridden by those as young as sixteen, these riders are often the most expensive to insure given the relative risk they carry. The cost of motorbike insurance generally goes down in price when the rider reaches 25 years old, no matter the size of the engine, so it can be more cost effective to wait a little, before deciding to buy that 250cc racing KTM. One increasingly popular option available to motorists is telematics insurance, but at present, this isn't available for motorcyclists. This might change in the near future, alongside up-and-coming alternatives to “standard” insurance, such as pay-as-you go insurance. This is when things can become expensive. As with car drivers, riders who have accrued speeding points or other driving convictions can find getting insured either difficult or prohibitively expensive. There are however, some dedicated motorcycle insurance brokers who work with riders with less than perfect track records to help them get fair policies. An insurance broker can sometimes be the best route here, as they will know best what will work for your specific circumstances, but if you’ve speeding points or other driving convictions - even in a car - expect a premium hike. Most insurance policies, like those from Swinton for example, provide “at least 30 days European cover as standard.” but if you’re planning a longer trip in the continent, a company which specialises in motorcycle insurance, like MCE Insurance might be more appropriate. They offer the exact same level of cover in the EU member countries for half of the year - 183 days. Or you could always get short-term cover for a special trip. 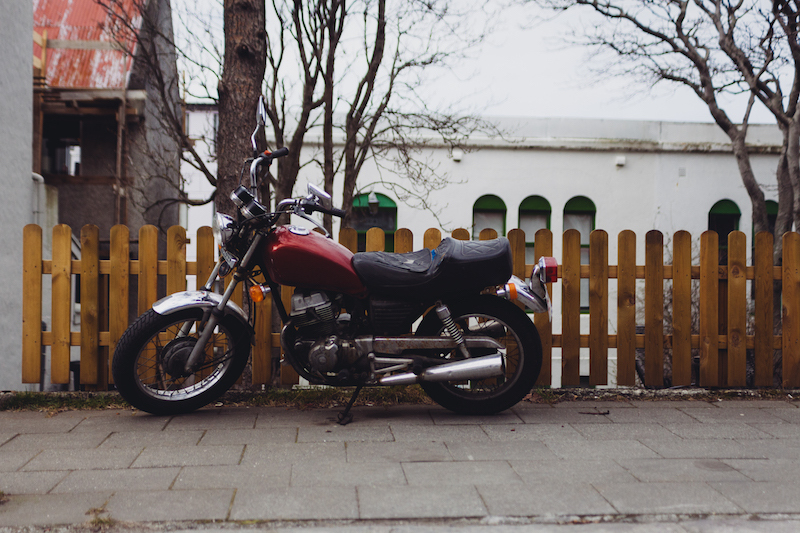 Whether you’re a biking novice who is just starting out with your first motorbike, or a pro with a growing collection of bikes, motorbike insurance should be one of the first things you buy. In a competitive market remember it’s not always about cost, but who will do the best job of protecting you and your bike, or even who will avoid that 1hr hold to speak to your insurer. So before making any purchase, read reviews on Smart Money People, and once you’ve got a policy of your own, be sure to write your own motorbike insurance review to help other riders find the best insurers for them. Had great service from your current motorbike insurance company recently? Give them a vote in the Insurance Choice Awards and you could win £1000!